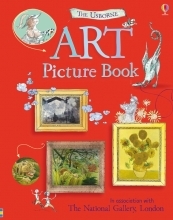 A charmingly illustrated book packed with the best-loved paintings in the National Gallery, London. Includes amazing stories behind the paintings, about the lives of the artists and how they worked, and internet links to find out more. Fantastic for budding art critics.